Genuine Nature Quill Pen with a detailed Brass handle. Pen is approximately 8" in length and is fitted with a removable nib for an easy and graceful flow. Paired in a gift presentation box with Writing Ink (If you have ink color requirement,pls indicate us.otherwise ,we will send any color on random) . There are four different stainless steel nibs and onecolor inks in one set. 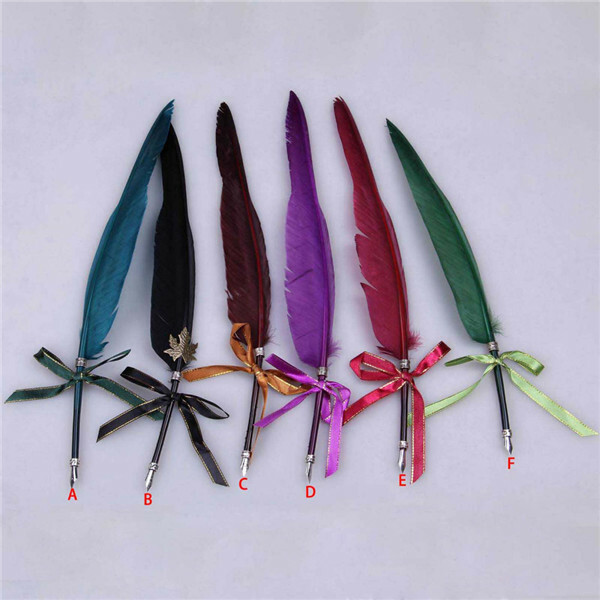 PS: there are 4 different feather colour: black, coffee, white and red. which colour do you like? Please leave message to us.